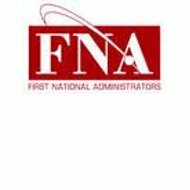 A review of First National Health, Health Insurance Company leads to FNA or First National Health Administrators. This company is based in New York and New Jersey, but sells insurance products throughout the country. FNA helps carriers that are brokers sell insurance products, mainly health insurance. By working with FNA, brokers have marketing and financial stability behind them to support their clients. First National Health Administrators has a variety of plans available for those who live in New York and New Jersey as well as other states. They are licensed to sell insurance in all 50 states. The most popular health insurance plans that FNA carries are sole proprietor plans. Sole proprietor plans are for small businesses and self-employed individuals. These plans allow small businesses to offer insurance plans similar to what big businesses can offer to their employees. Indemnity medical plans are medical plans for individuals and families that do not have health insurance plans offered through their employer yet make too much money to qualify for a state sponsored health insurance plan. Indemnity plans cover the very basics of medical insurance such as hospital visits and immunizations. Indemnity medical plans from First National Health are available from several different carriers. Another type of health insurance offered by First National Health is Group Retiree Insurance. This insurance is for individuals who are eligible for Medicare, but also need supplemental insurance. Retirees must be part of a group to qualify. Some examples of groups that take advantage of Group Retiree Insurance are former employers, lions clubs, church organization, and auxiliary organizations. In addition to health insurance, First National offers a variety of other types of insurance and coverage options through its carriers. PEO or Prestige Employee Administrators is a contracted carrier that offers First National clients support in human resources. They can combine the needs of several companies to produce a greater outcome for all companies in the areas of purchasing, organizations, and employee discounts and benefits. Another innovative product offered through PrimePay and HealthNow, affiliates of First National, is self-funded insurance. Self-funded insurance is when a company pays for only what the employees use in different kinds of insurance. There are monthly caps on payouts and employee contribution may be necessary, if monthly limits are reached. It is a highly specialized type of insurance and should be discussed at length with a First National Health representative before any decision is made. Elite Energy Consultants is another affiliate of First National Health that offers alternative energy services to New York residents only. By choosing an energy service company over state regulated energy companies, you can save money and regulate your budget. Alternative energy companies allow you to average out your payments so you have the same payment every week. After the attacks on 9/11, First National began seeking products that could be used to offer protection to employers. They found that one of the biggest concerns employees had was whether they were properly screening employees before hiring them. First National considered this and contracted with a company called National Credit and Screening. National Credit and Screening is a company that helps employers properly and quickly screen their potential employees as well as run updated checks on current employees. Background checks through other organizations can be time consuming and expensive. By the time information is sent away and processed, the potential employee well may have taken another job. National Credit and Screening minimizes risks for the employer, decreases the overall cost of the screening process, improves the time frame in which employees can be screened, and helps professional businesses obtain the information they need to make decisions concerning who to hire. This is especially helpful for jobs that require security clearances.